Philadelphia County isn’t all skyscrapers and city streets. It includes the stately homes of Chestnut Hill and Mount Airy as well as the tree-lined neighborhoods of Overbrook. There’s more lush greenery to be found than in many other major cities. Green Lawn Fertilizing is a local company with ties to communities throughout Philadelphia County. 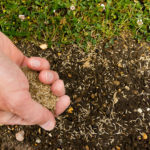 That’s why so many Philadelphians trust their lawns, trees, and shrubs to Green Lawn Fertilizing. If your Philadelphia property could use a little help from the most trusted lawn care company in the region, contact Green Lawn Fertilizing at 888-581-5296. Our friendly customer support specialists are waiting to take your call. We’ll happily provide a free quote and design a lawn care program around you and your lawn’s needs. IMPROVEMENTS THE RNTIRE BLOCK NOTICED! I used to use True Green and found my lawn to be the worst looking in the block! I switched to Green Lawn which was used by my neighbor and noticed an immediate response to my problems. the technicians are knowledgeable, polite and perform their duties efficiently. my favorite lawn technician is Angelo Maldonado. he’s polite and attends to all concerns and respects my property and the property of adjoining neighbors in a concern to alert treatment applications to warn animals and children nearby. Did not get to see tech, I would like to see a description of how product was applied, and present condition of lawn. The only lawn service , we have had 5 previous, that actually delivered grass, green grass. I started the process late in the season. So far I haven’t see great results. Little grass growth after the seeding and still too many weeds. I believe the seeding is guaranteed, so i’m hoping that the seeding process will be done again. I’m going to take a wait and see attitude and see the results next season.Also, the technician recommended lime application because of the ph balance. Was this done, will it be done? Our lawn was in dire straits and over the last 2 seasons with a Green Lawn we have had a remarkable turnaround. Hello my name Angelo Maldonado, today I applied your round 7 application. Wait until 10-14 days to see improvement. Didn't noticed any tires marks. For any questions about anything or lime application feel free to give me a call at 267-736-9615.